Birmingham's major arts organisations are getting together a weekend of free outdoor performances to celebrate the opening of the city's new library. The 4 Squares Weekender takes place from September 6 – 8 in Birmingham's central squares – Centenary, Chamberlain, Victoria and Oozells in Brindleyplace. The fun begins at 9.30pm on September 6 in Victoria Square with a spectacular show called As The World Tipped presented on a 12 metre screen set high in the sky. It's repeated at 9pm on September 7. Highlights are many but here are a few things not to miss in each square. Crack Up (Ikon Gallery, 12pm & 4pm, Sept 8): Birmingham Contemporary Music Group perform music by Japanese composers Toshi Ichiyanagi and Shiori Usui. Pif Paf – Something To Hold (Brindleyplace, 1pm, 2.30pm, 4pm, Sept 7; 12pm, 2.30pm, Sept 8): A 25 minute tale performed on a new aerial sculpture. 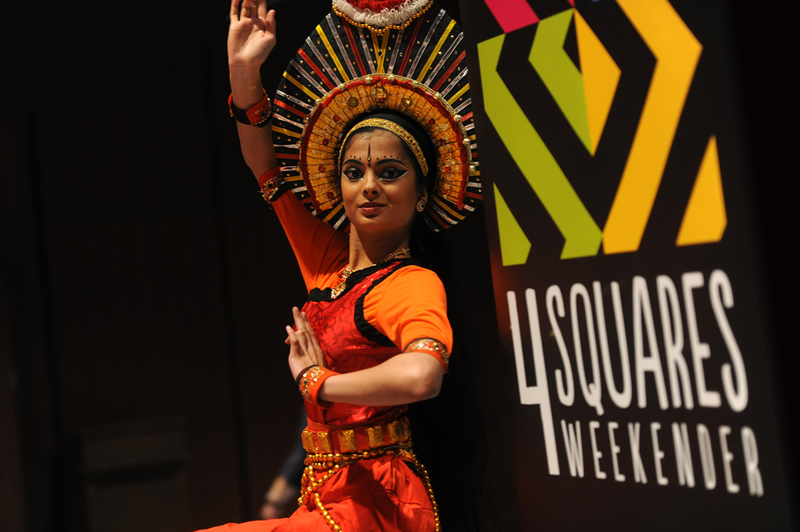 Circles in the Square (Oozells Square, 1pm & 3pm, Sept 8): Classical and urban dance presented by Sampad. Musical Picnic (11am – 6pm, Sept 7; 12pm – 6pm, Sept 8): A varied programme of music featuring, among others, Soweto Kinch, the Burdock Ceilidah Band, Louis Robinson and Metropolitan Brass. 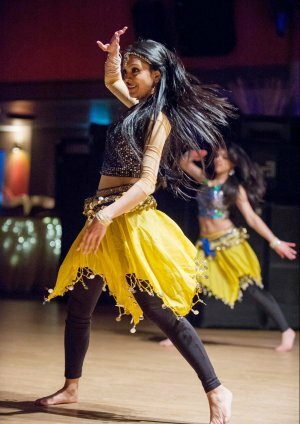 Hooray For Bollywood (1.30pm & 4.30pm, Sept 7): A music and dance spectacular with the sights and sounds of Bollywood. CBSO Wind Ensemble (3pm, Sept 7, Library of Birmingham): The music of Mozart performed in the new library's amphitheatre. The CBSO String Quartet occupy the space at 3pm on Sept 8. Simmer Down Showcase (5pm – 8.30pm, Sept 7; 2.30pm – 7pm, Sept 8): Singers, dancers and DJs entertain. 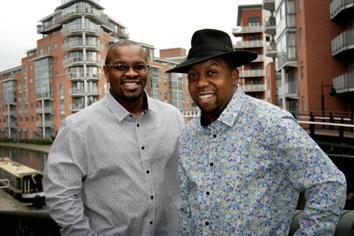 Don't miss Musical Youth, Yaz Alexander, Basil Gabbidon and Tippa Irie. Flatpack Film Cafe (Waterhall, Museum & Art Gallery, 12pm – 8pm, Sept 7 & 8): Animation, cult movies, live performances and an exhibition of posters presented by the folks from Birmingham's Flatpack Festival. dx Participate (Town Hall, 2pm – 5.30pm, Sept 7; 1pm – 4pm, Sept 8): Dance workshops courtesy of DanceXchange. Styles include Lindy Hop, Urban Fusion and Street. Open House (12pm – 2pm & 3pm – 5pm, Sept 7; 12pm – 2.15pm & 3.15pm – 5.30pm): Birmingham Hippodrome and Nofit State Circus join forces for a spectacle of acrobatics, circus stunts and music. 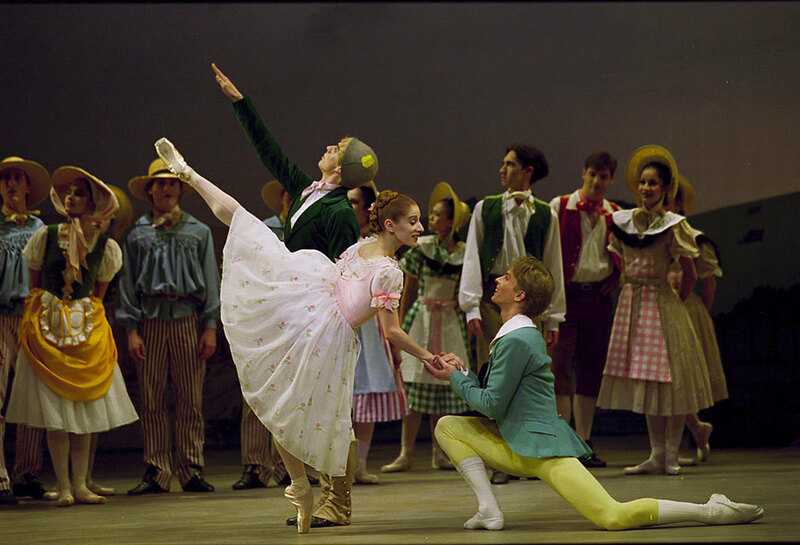 Birmingham Royal Ballet (Town Hall, 1pm, Sept 7): See why the BRB is the UK's leading touring ballet company. Chairs (Town Hall, 3pm, Sept 7): Freefall Dance Company takes its inspiration from the humble chair for its latest demonstration piece. Where: Four Birmingham city centre squares - Centenary, Victoria, Chamberlain and Oozells.